There are two ways to scan a photo or document into your Windows computer: with a dedicated scanner or with a multi-function printer (MFP) that contains a scanner. 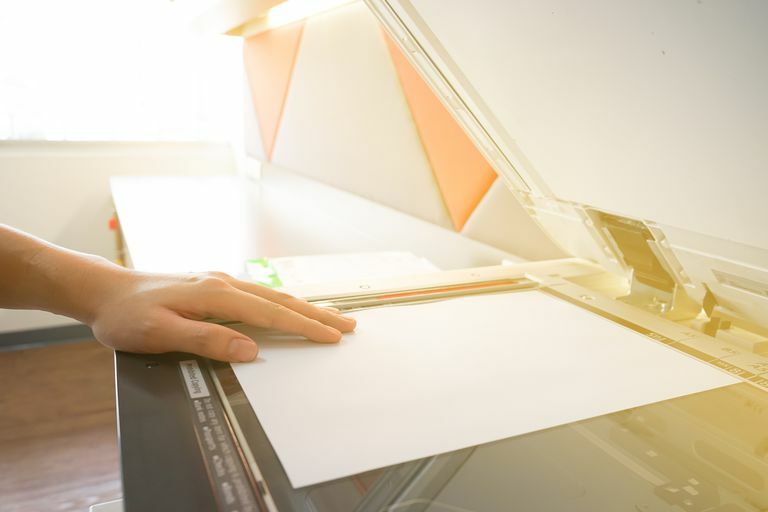 Let's take a look at how to scan a document or photo from a standalone scanner or MFP using the built-in Windows Fax and Scan software on Windows 10, 8, or 7 – no other software required. Before we get started, we're going to presume you've already attached your scanner or MFP to your computer and you've tested the connection to confirm that your devices are working properly. The quickest and easiest way to open Windows Fax and Scan is to simply search for it. Just type Windows Fax from the search bar and you'll see it show up in the search results. Tap or click on it to open it. In Windows 10, the search bar is right next to the Start button. In previous versions of Windows, the search bar may instead by inside the Start button so you may need to click that first before you see it. Turn on your scanner or MFP if you haven’t already. Click New Scan in the blue toolbar. The New Scan window appears after a few seconds. In the Select Device window, click on the scanner you want to use. In the New Scan window, change any of the scanner and scanning options (such as the file format you want to save to) on the left side of the window. Preview the scan in the window by clicking Preview. Scan the document by clicking Scan. After your scanner scans the document, it appears within the document pane in the Windows Fax and Scan window. Scroll up and down within the pane to view the entire scanned document. Click Forward as Fax to fax the scanned document to one or more recipients within Windows Fax and Scan. Click Forward as E-Mail to send the scanned document as a file attachment in an e-mail message that you can send to one or more people. After you click on this option, a new message window appears within your preferred email program with the file attached so you can address, type, and send your message. Click Save As to open the Save As window so you can save the document with another name, in another ​graphics file format, and/or in another folder. Even if you don’t do anything with the document or photo you scanned, Windows Fax and Scan saves your scan automatically as a file so you can view past scans at any time when you open the program. View a file by clicking on the document or photo name within the file list. The scanned document or photo appears in the document pane so you can confirm that the file contains what you expect. Then you can perform any sending or saving tasks I discussed earlier.